HELEN L. KARIKAS of Cleveland. Cherished daughter of the late James J. Karikas, Sr. and Hilda V. Karikas (nee Oyster). Loving sister of James Karikas , Jr. (deceased) (Nancy), Richard Karikas (deceased), John Karikas (deceased) (Rebecca), Annamarie Hogan and Howard Karikas (Carole); dearest aunt of Melissa, Courtney, Shannon, Jacob, Jason, Phillip, Jonna, Tegan, John and Jarred; great-aunt and friend of many. Helen was a proud Physicians Assistant and worked in the medical field for 40 years. 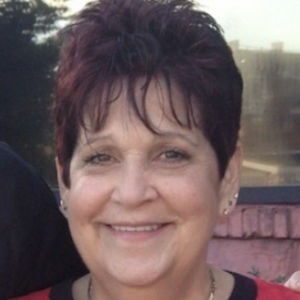 She worked at Deaconess Hospital, Fairview Hospital and most recently NeuroSpine Care Inc. Helen passed away peacefully with her family by her side on Saturday, March 23, 2019. In lieu of flowers memorials may be forwarded to Alzheimer's Association Cleveland Area Chapter, 23215 Commerce Park #300, Beachwood, OH 44122. Friends may call at the BUSCH FUNERAL HOME, 7501 RIDGE ROAD. PARMA FROM 3:00 PM UNTIL THE TIME OF THE SERVICE AT 7:30 PM, ON FRIDAY, APRIL 5, 2019. Interment at Brecksville Cemetery. Please gather at the funeral home on Saturday, April 6, at 12:00 PM for a procession to Brecksville Cemetery.